Cunningham is pursuing a Communications and Media major with a minor in Journalism. The Wolfpack student is an official member of the ACC Digital Network production team throughout the weekend, follow her ACCDN insight on Twitter here @theACCDN. 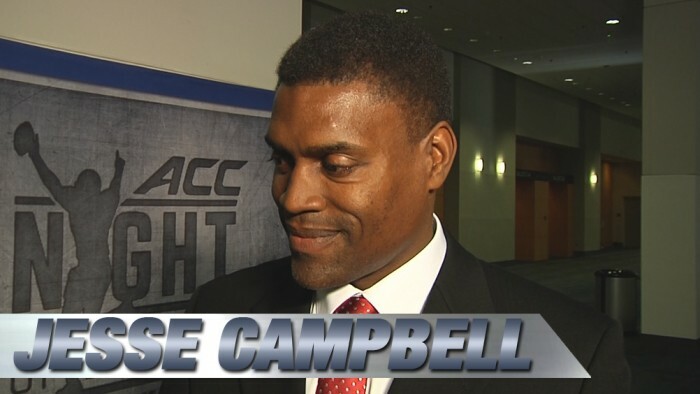 Her first assignment was to interview NC State Legend Jessie Campbell as a segment of the ACC Nights of Legends event. Additional segments can be viewed on theACC.com as part of the ACCDN’s extensive coverage of the ACC Football Championship Game. 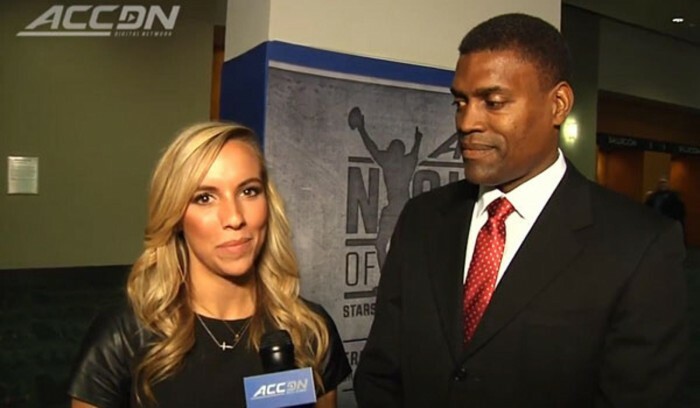 Look for Cunningham on the ACCLive: Bowl Selection Show on Sunday, then she heads back to Raleigh to concentrate on studying and covering the NC State Football and Basketball programs before graduation in May. Any Sports Techie interested in being part of future Guest Reporter campaigns or opportunities will benefit by following the @theACCDN handle and submitting necessary contest information at theACC.com/GuestReporter web page. Sports Techie, Cunningham’s twitter profile at @_TCunningham says she enjoys family, traveling and cookies. She should add sports tech to her interests after this resume building contest win. The Sports Techie community sends our virtual congratulations to Taylor and best wishes to the rest of the inspiring Guest Reporter candidates. Below is a breakdown of the ACC Championship game. The conference championship game features the College Football Playoff Rankings number four ranked Florida State team taking their undefeated record against the number eleven ranked Georgia Tech squad that plays here in Atlanta. The top three ranked teams all have one loss but FSU’s strength of schedule and close game outcomes recently dropped them to fourth place. The Seminoles are ranked two in the latest AP Top 25 poll while the Yellow Jackets come is with the twelfth ranking. The 2013 Heisman Trophy winner was FSU quarterback Jameis Winston, the second freshman and youngest ever to win the award. The controversial QB is attempting to lead his team to back-to-back National title wins after they won the 2014 BCS National Championship Game. The new College Football Playoff (CFP) format takes the top four teams according to selection committee votes rather than relying on computer software programs to calculate the best teams. If FSU wins this ACC Championship game they are in one of the January 1, 2015 semifinal games. If GT wins, FSU is out. More than 60,000 football fans are expected to attend this prestigious ACC game at Bank of America Stadium in Uptown. The ACC Fanfest presented by AT&T takes place on Graham and Mint Street; from noon to 7 pm. The USA Football Fundamentals Clinic is at the Carolina Panthers Practice Field at noon until 7 p.m., rain is expected. Watch the game on ABC starting at 8PM EST. Listen to Cunningham for game data, interviews and fan experience happenings. Watch live after the game: #ACCFCG postgame press conferences at theACC.com. Love to hear who you are rooting for as a blog comment below or on any of our social media network channels below.